Fathers—the men whose indelible fingerprints are all over our lives. 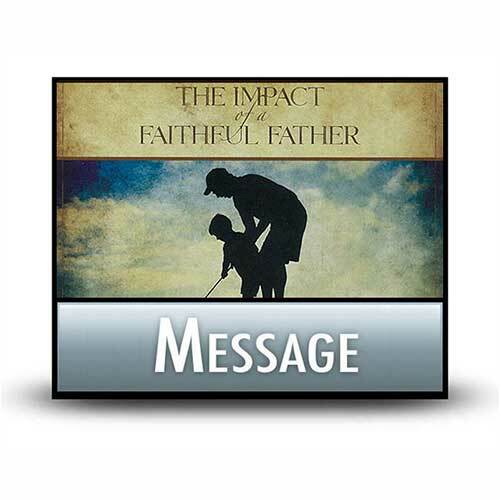 If you were blessed to have a dad who was there for you—training, encouraging, loving, affirming, and (when necessary) setting appropriate boundaries while disciplining you, you welcome the opportunity to praise him. You recall the treasure of his investment in your life and the pleasure of all those memories when you were closely connected to his world and were learning about life from his character. On the other hand, if your dad lacked admirable character qualities . . . if your memories are far less than positive, bringing you sadness instead of joy, this is the time for you to let all that go—and forgive him of those many shortcomings. Regardless of your heritage, you’ll find some fresh encouragement as we revisit one of the great dads in the Bible. Copyright © 2009, ℗ 2010 by Charles R. Swindoll, Inc. All rights are reserved worldwide.